Bio-Botanica is a leading manufacturer of 500+ quality botanical extracts for the cosmetic, personal care, pharmaceutical, and nutraceutical industries. With a continuing focus on innovation, Bio-Botanica has pioneered numerous advancements in the botanical field over its 40+ year history. Working in close collaboration with R&D, manufacturing, and QC, Bio-Botanica’s Department of Pharmacognosy is a critical contributor to the company’s product innovation strategy. The group is tasked with leveraging a variety of analytical technologies in order to provide comprehensive characterization of botanicals and help ensure final product quality. Given the extreme complexity of botanical samples, compound quantification and qualification can be particularly challenging. 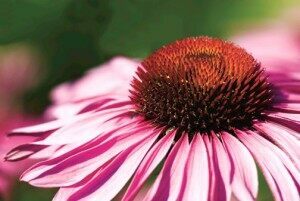 Although the use of high performance liquid chromatography (HPLC) with ultra violet (UV) detection has allowed analysts to identify some of the botanical markers, it does not provide full characterization. In order to better identify extract constituents, push the boundaries of botanical investigation, and meet the constant and diverse demands of a fast-paced laboratory environment, Bio-Botanica’s Department of Pharmacognosy implemented an analytical solution comprised of the Waters ACQUITY UPLC H-Class System with the Xevo TQD Mass Spectrometer. The UPLC-MS/MS platform is now routinely used to support a wide variety of analytical testing needs including those for product safety, R&D, final product QC, and various customer requests. Download the complete case study to learn about the scientific and business benefits Bio-Botanica has realized since implementation of the UPLC-MS/MS technology including compound identification, label claim confirmation, and method consolidation, among others.